There are some announcements in games that get you instantly excited, such as DICE teasing a new Star Wars Battlefront, Miyamoto announcing Twilight Princess or that first look at the PS2. Then there are others that, while they sound intriguing, don’t quite generate the same kind of excitement. 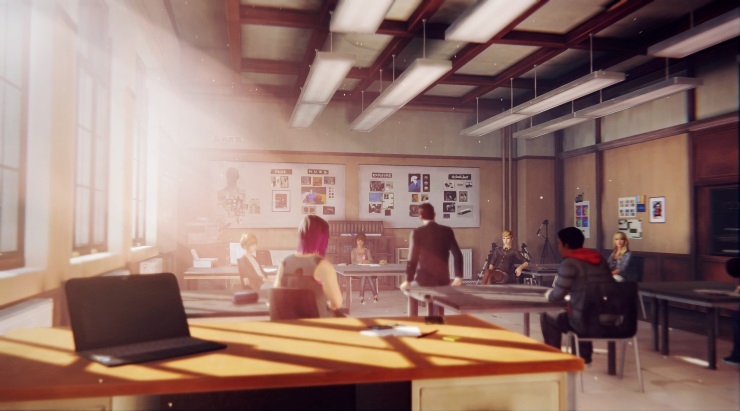 For me, the announcement of Life is Strange fell into the latter camp, but oh how my opinion has changed since playing it, and talking to the game’s Creative Director. 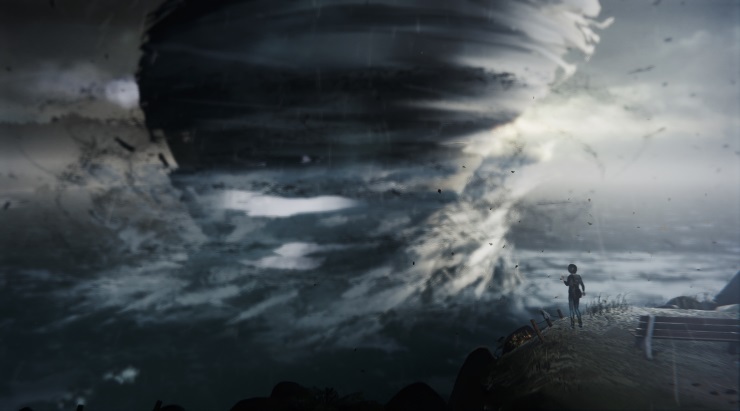 Dontnod’s debut title was Remember Me, a third person action adventure title, while Life is Strange is an episodic adventure game. Despite the significant shift in genre, however, Creative Director Jean-Maxime Moris thinks there is a lot of similarities between the two. 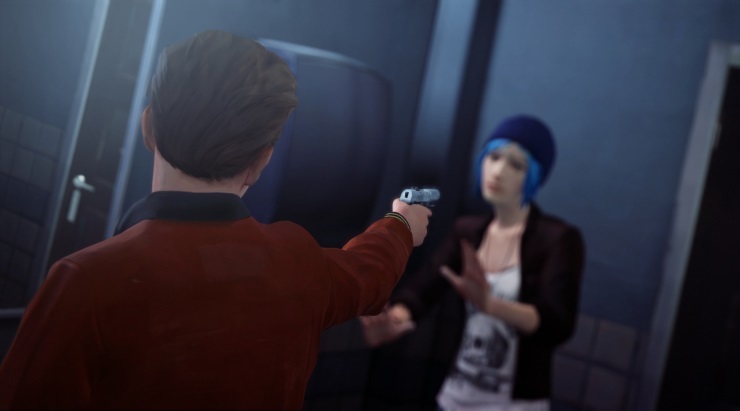 Max, Life is Strange’s protagonist, discovers early on that she has the ability to rewind time and relive that moment again. 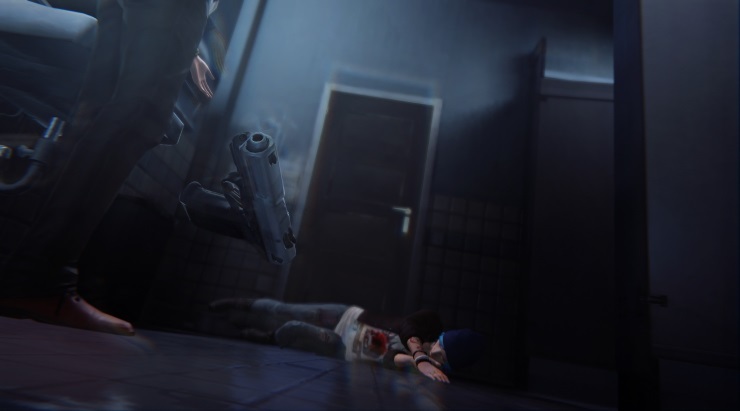 A similar mechanic was implemented in the memories of Remember Me, and it allows Max to use the experience she has the first time round to correct any mistakes in the second or third time of re-living that moment. While there may be more than a few similarities between the two games, Jean is keen to stress that the move to an episodic format – one of the most obvious differences between the titles – happened organically. 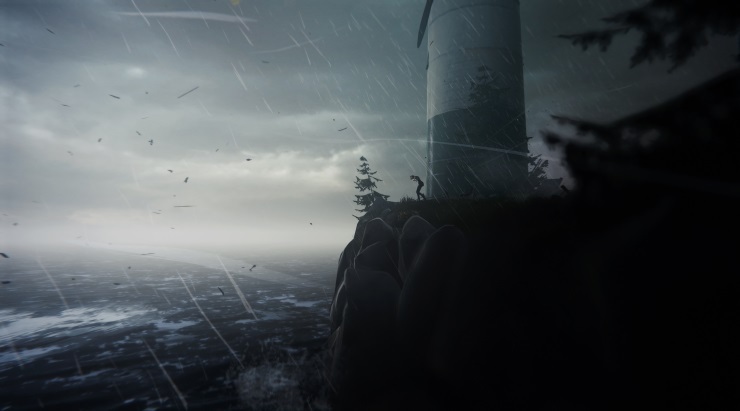 The episodic format isn’t just new for Dontnod, it is also Square Enix’s first ever episodic game. With TellTale doing so well with their efforts it is understandable why Square wanted to get in on the fun, but it is still a big risk for the publisher. One of the more talked about areas of Life is Strange pre-launch is the two main female characters, and the distinct lack of a male protagonist. J-Max has previously stated that many of the other publishers Dontnod spoke to wanted to change Life is Strange significantly, mainly to bring in a male lead character. Even with Capcom and Square taking a chance with Dontnod’s lead female characters there is still the perception that lead female characters aren’t a strong selling point. Only games like Life is Strange can hope to change this, but that wasn’t the key message the developers set out with. “It takes time to change mentalities. This particular gender thing in video games is part of a much bigger social and political issue, which is gender equality, and I have no idea. If it can change one person’s mind then I’ll consider it a success. 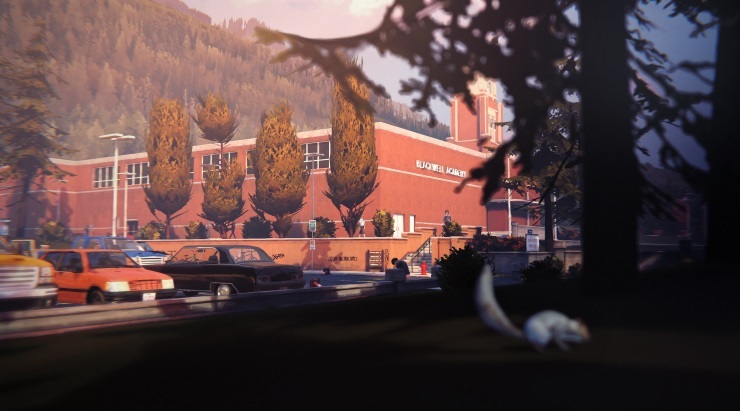 While Life is Strange is a story based game, it does contain some puzzle sections. Jean denies that they will overpower the other elements within the game. 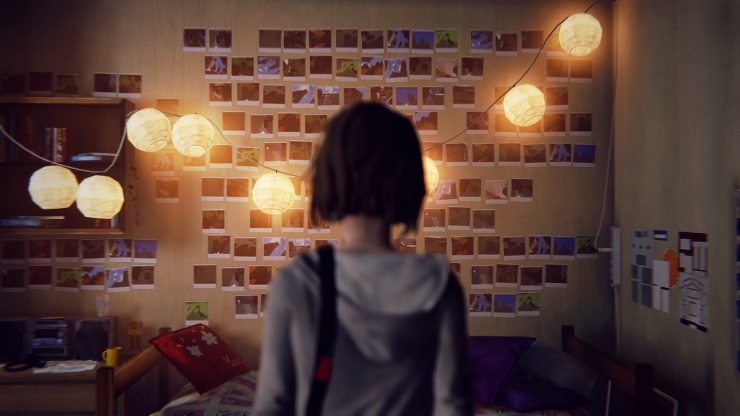 Another noticeable quirk of Life is Strange is the butterfly symbol that frequently appears in the top left corner of the screen whenever you make a choice, in a similar style to TellTale’s They Will Remember That message. However, sometimes the symbol appears in situations that seem very inconsequential. J-Max assures me that every decision is important. With all the choices you make having some kind of consequence, one would assume that the overall series will feature multiple endings, based on the more significant choices you make. Having the characters interact with Max in different ways was certainly noticeable during my time with the game, thanks to replaying certain situations with the rewind feature and seeing the different reactions from people. It is worth saying that the characters themselves are so far so good, mainly thanks to the incredible voice actors that are on board. Now when you interview a developer, and they mention the possibility of a sequel to their upcoming game, you just can’t pass up the chance to ask them if they are already at work on a sequel. 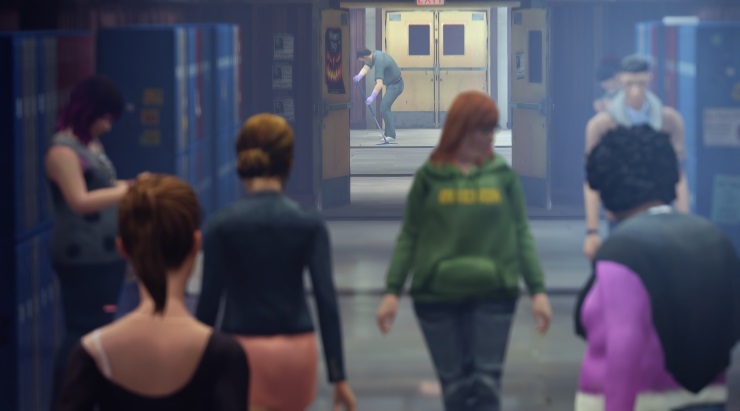 Life is Strange is really shaping up to be something special. It has some unique ideas, with an intriguing story and some brilliant characters, but the real question is where does Jean-Maxime Moris, Creative Director at DONTNOD Entertainment keep his ketchup? Thanks to J-Max for his time.